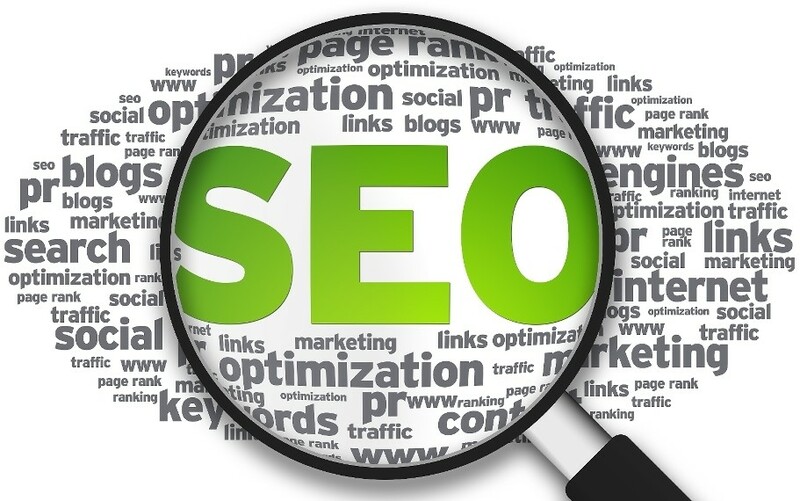 Looking Ahead: 10 SEO Trends to Look Out for in 2015 - Fuze SEO Inc. Believe it or not, 2014 is almost over. This year we’ve seen the release of the first Penguin update in in over a year, the launch of an entirely new local search algorithm dubbed Pigeon, and the announcement of site encryption as a ranking signal. People have hotly debated the importance of the keyword, while content marketers have continued to espouse the increasing importance of a solid content strategy. Most of us are already looking ahead to what 2015 might have in store SEO. While the landscape of our industry sometimes moves at an almost breakneck pace, based on how 2014 has gone, it is easy to predict which SEO trends will dominate the new year. Here are our picks for the 10 most important SEO trends to keep your eye on in 2015. Back in July, Search Engine Watch reported that, for the first time in history, mobile usage exceeded PC usage. This is a continuously growing trend that has enormous implications for SEO, as users are doing more of their searching on smart phones or tablets, hopping, accessing content, and connecting on social media. B2B sites are also significantly impacted, as the rate of users searching on mobile devices for business purposes is also increasing. Google is emphasizing the importance of a site’s usability across mobile devices. Search results now display a mobile friendly icon to indicate which sites can be seamlessly used on mobile devices, and mobile optimization has been a ranking signal for over a year. In 2015, optimizing for mobile search will need to become a pivotal part of your SEO strategy. Much as users are searching across devices, SEOs must recognize that they are also searching across different platforms and channels. While Google still maintains a hold over the search market share, other platforms and search engines are gaining traction. Just last month, Firefox removed Google as its default search engine and switched to Yahoo. Not too long ago, Google’s executive chairman Eric Schmidt identified Amazon as the search engine’s largest competitor. Per his reasoning, people are now going to e-commerce sites directly when searching for something to buy. The same is true of mobile apps, which provide content and information to users directly without needing to search through a search engine. SEOs should keep in mind that the way users search is changing. For a long time, Google has demonstrated a commitment to search results that accurately reflect user intent–that is, not only what the user searches, but why they search for it. This is an important upper level of the funnel to target users, and in 2015, SEOs should be mindful of those longer-tail keywords that qualify a lead, customer, or conversion before they’ve reached the site. Which keywords demonstrate that someone is searching for your product or service? What keywords will lead them to your site before they’ve begun searching your branded keywords? A combination of keyword research and an understanding of the habits of your target audience will help you identify where in their search process you should begin targeting them. Content is one of the focuses of SEOs in today’s industry, but far beyond the creation of great content is its promotion and distribution. In determining the relevance of a site’s content to a search query, Google searches for the community that has been built around that content. That “community” encompasses links, social mentions, shares, and a swath of other indicators that your content is relevant, valuable, and contributes to your space. Building relationships is key here. SEOs should focus on reaching out to fellow bloggers, organizing social campaigns, engaging with thought leaders, and staying active on social media campaigns. Building relationships with other innovators in your space ensures maximum exposure for your content, and is an excellent way to earn quality links. A result of the relationships you form are earned links back to your site, which have always been more valuable than purchased links, or referrals attained through unfocused link building tactics. Links remain one of the most prominent ranking signals, and Google places heavy emphasis on quality, organic links. With the search landscape evolving to serve user intent, there is renewed focus on the power of the brand. A company’s brand is crucial to establishing their online presence. It is their number one distinguishing factor–how their audience recognizes and interacts with them–and Google is factoring brand into its rankings. According to Forbes, Google now differentiates between “explicit links” and “implied links”–that is, traditional backlinks versus mentions of a brand without a link. It is predicted that over 2015, brand mentions will become as important as “dofollow” links. While Google Authorship may not have had the impact Goole hoped for, the integration of social media and SEO is still high on their radar. It is likely that 2015 will see an increased value in social signals for rankings–Facebook and Twitter activity that ties into the relationships formed around content and the relevance of a brand to its audience. The exact importance of social activity to the ranking algorithm remains a subject of speculation, but most experts agree that if Google is not already accounting for a site’s social media activity, they soon will be. The creation of content has been at the center of a new wave of SEO for some time now, and this is a trend that will only continue into 2015. Users demand engaging, relevant content customized to their own unique experience, and the worlds of SEO and content marketing are continuing to overlap. In general, a large part of many SEO strategies are driven by the creation and promotion content that integrates a variety of formats and multimedia as opposed to text to create a dynamic user experience. Forbes also predicts that the isolation of SEO teams from other teams in the marketing department will soon be coming to an end. In keeping with the increased importance of content marketing to SEO, cross-disciplinary teams of content marketers, social media professionals, SEOs, and other related verticals will become the norm. As web marketers, each background we come from plays an important part in the managing of a brand or a site’s web presence. On a precautionary note, 2015 may be the year of negative SEO. As the industry overall works to adapt to changes in search and re-establish its commitment to white-hat tactics, those black-hat practitioners are still using tactics to damage the work we do. Negative SEO involves building thousands of spammy links to a competitor with the hopes of causing their rankings to drop, and is a serious threat to websites. Disavowing links, a complex and timely procedure, is the only known way to repair the damage caused by Negative SEO, and Forbes predicts that as the threat continues to rise, Google may need to consider ways to maintain the integrity of search rankings and recognize manipulative links. All in all, 2014 has proven to be a typical year in the world of SEO: exciting and fast-paced, with several developments that could potentially change the course of the industry. As we look towards 2015, we anticipate another busy year of change. Are you ready for it? Tagged brand mentionse, earned links, mobile optimization, negative seo, seo, seo 2015, seo trends, social integration.